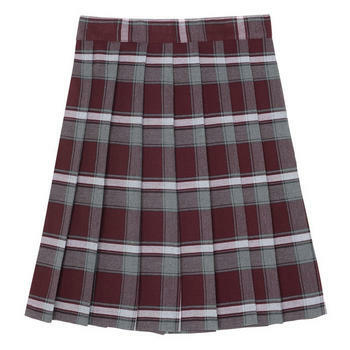 These burgundy plaid skirts are for students in grades 6-12. They are knee length and come in sizes 10-20 and 10.5 plus to 20.5 plus. The price ranges from $17.99 to $21.99.